Have a question? Please check the FAQ. Feel free to contact us if your question is still not answered. Where do I find the Registration site? How long have I got to enter? Entry will close one week prior to race day. Late entry requests after this must be made to the race director via theyeti@stjamesmountainsports.co.nz. In order to secure a finishers engraved dog whistle and personalised number plate (plus other goodies) you must complete your entry by December 20th! Is there a compulsory gear list? Yes, you can find it here – Gear List, located below the rules and entry terms & conditions. While large, a call may be made at race briefing to reduce the list depending on weather. You must how ever have all items at briefing. Is there live tracking of my race available? Yes, for all Mountainman and High Country 100 competitors live trackers are compulsory and included in the entry fee. For all others who wish to have live tracking, you can order a Spot NZ GPS Tracker from the team at Spot NZ cost is $75. How do I check my entry has been confirmed? You can find your entry on the RESULTS page – be sure to select the correct year. Your entry is confirmed by the allocation of your race number. Can I get a refund if I am unable to make it on race day and need to cancel my entry. Withdrawals prior to December 15th will be refunded minus a $25 administration fee (at the organisers discretion), but there are strictly no refunds after December 15th. Up to January 16th entries may however be transferred to another competitor (upon advising the organisers) or transferred to the following year. Where does my race start and what time? Mountainman – Lake Tennyson at 6am – briefing on the beach 5:45! Will there be any transport available between the start and finish area's? I know I have to be reasonably self sufficient but what will be available on course? There will be three main aid stations (Stanley Vale, The Zig-zag and Charlies Saddle) check out the map for your race on the website to see where these are in relation to your route. All competitors will pass at least two of these, with the Epic passing three and the Mountainman five. 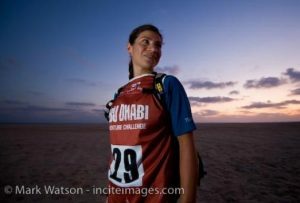 Each aid station will have water & R-Line (for refilling hydration packs etc), EM’s power cookies, bars and minibites, banana’s, sunscreen, & crampstop as well as first aid kits. Whats the best route to St James? 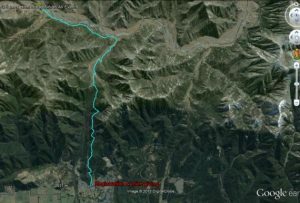 The main route from Hanmer Springs is over Jacks Pass via Clarence Valley Rd. The Turn off is almost opposite the registration site on Jacks Pass rd. Travel over Jacks Pass and take the left hand road when you hit the Clarence – heading up the valley to St James. Note the road is gravel. What advice do you offer to newcomers to these events? What kind of training should I be doing? Is it compulsory to camp at Lake Tennyson on the Fri prior to race day? No, it’s not compulsory however the Yeti strongly recommends that all competitors in either of the multisport races do so, given the unpredictable road conditions and traffic this is the safest option to ensure that your bike & gear (for the Macpac Mountainman) is in place in the transition zone by the 5:30 am cutoff and that you do not miss your 5:40 am race briefing and 6 am start. The Yeti also encourages competitors in the other races to do so too. Check out your nearest Macpac store or online for all your camping needs! What are the rules for camping at Lake Tennyson? Any other restrictions etc will be posted as required. Is there a team’s option for the MTB races? No. The course layout does not provide the opportunity for a relay style team option. There may be a “total time” based team option in the future. Is there a team’s option for the Stampede Ultra race? Are drink bottles banned for use on mountainbikes? No but hydration packs are the preferred option of the event organisers as drink bottles often fall from bikes creating a litter problem. 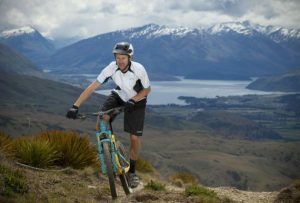 Prizegiving will take place in Hanmer Springs on Sun 21st at 11 am (at the Hanmer Springs Hall in the center of the village by the library) There are awesome spot prizes up for grabs including gear from Macpac, vouchers from Ground Effect, Product from R-Line & NZ Mountainbiker Subscriptions. Transport will be available on race day for competitor transport from the finish area to the two start zones (Lake Tennyson & Fowlers) – PLEASE NOTE as the earliest transport will not arrive in time, this is not an option for those entered into The Macpac Mountainman or The Alpine Adventure; Adventure, Xtreme or Ultimate options – as per the race rules those competitors are required to have at least one support crew and should camp onsite on the Friday night. Please book your seat directly with Ross and the team at HANMER ADVENTURE . Please note, they are completely independent from St James Mountainsports. The minimum time indicated is for someone who is comfortable driving on metal roads and assuming normal road conditions however you should at least allow for dust and potholes in some places. The Clarence valley – Tophouse road is a metal road of reasonable standard that is suitable for most cars however it has a high use at this time of year so you should expect dusty conditions with random potholes and corrugated surfaces through out. 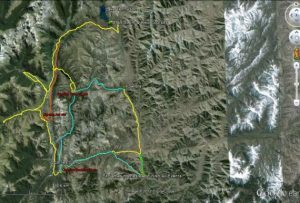 What are the expected travel times from Hanmer Springs? How do I find a teams mate? Not sure you’re ready for the solo effort but still want to participate and need someone else to share the pain? Click here to access our Facebook page and find a team mate or leave your details. How do I volunteer to be a marshal? If you or your organisation are interested in sponsoring this event or one of the races, either as a general sponsor or as a full naming rights sponsor please send an email to heath@stjamesmountainsports.co.nz with a brief proposal.